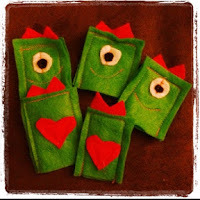 I'm always up for Valentines that don't include candy. 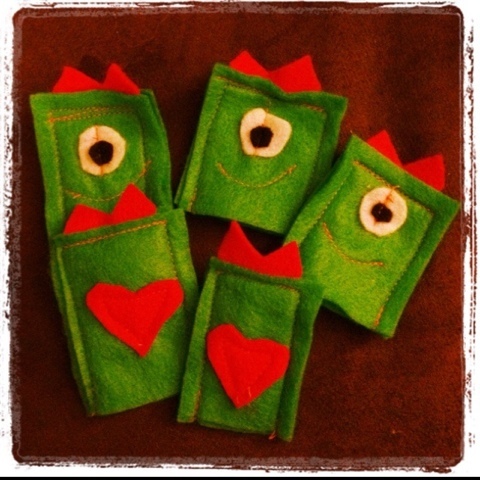 Last year I went hand made and created little finger puppets from felt for Henry's friends at daycare. This year, I procrastinated a little. I wandered around Target on Sunday looking for inspiration. The dollar spot rarely disappoints and had cute little sunglasses. I picked out a pair for each kiddo at daycare and typed up a quick saying to go along. 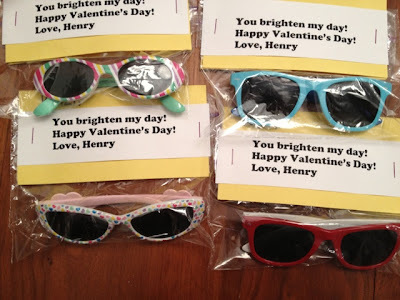 The glasses are in Ziplock baggies, then I folded over some yellow paper and stapled on the greeting. Done!